When you're floating in the basket of a hot air balloon, there are no walls around you, no ceiling above. There are no buildings, no traffic, no distractions at all. You'll feel a sense of euphoria as you gently glide over the world you left behind. You'll want to stay up there forever. 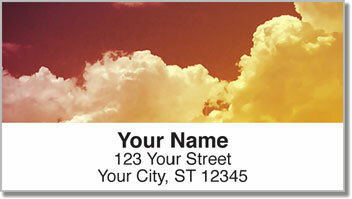 These stunning return address labels capture the panoramic view of a spectacular sunset. Golden and rosy hues surround you as fresh air fills your lungs. 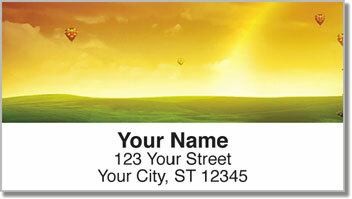 If you like the feeling of freedom, you'll love how these self-adhesive address labels free you up from scribbling your name and address on every single envelope. Make the task of preparing outgoing mail easy and breezy! 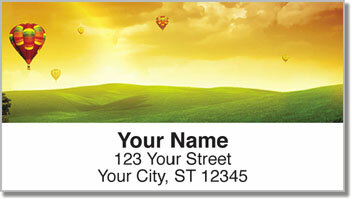 Get your own Hot Air Balloon View Address Labels today! 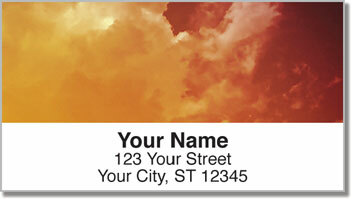 You can also order matching checks with free shipping.